Free wi-fi is now available on all route buses following a successful pilot project over the summer, operators Malta Public Transport said on Friday. 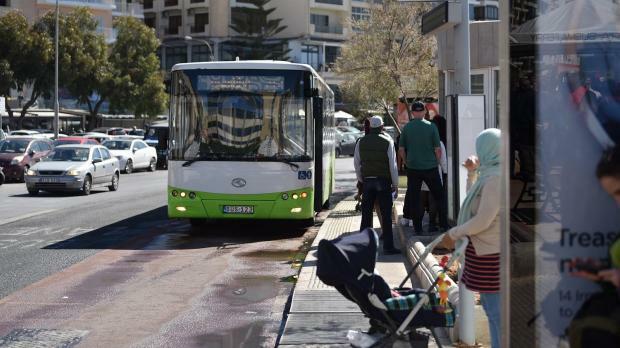 “Through our collaboration with Transport Malta, Malta Public Transport is pleased to offer more value and more convenience,without any extra charges for the customers,” said Daniel Grech, Commercial Director at Malta Public Transport. Since the launch of the pilot project, the number of logins has been consistently on the rise with an average monthly increase of 57 percent. There were over 50,000 unique users connected to the service in July alone, the highest in the testing period when Tallinja Wi-Fi was extended to cover 100 public transport vehicles, operators said. More than 1.8 million logins were registered during the trial period, with the airport routes X2 and X3 having the largest share of usage, followed by routes to St Julian’s, Buġibba, and Ċirkewwa. More than half of the bandwidth was used by passengers for social media, while just over a quarter of usage went for web browsing. The top app used on bus journeys is Facebook, used 48 percent of the time.